The kingdom of Pontus, with its royal seat at Panticapaeion, had once been an out-of-the-way satrapy of the Achaemenid Persian empire, but after the time of Alexander the Great its rulers had established themselves as an independent dynasty. The population may have contained Greek, Thracian, Scythian and Celtic elements, but it was dominated by a well-established Iranian aristocracy, and its kings adopted, or at any rate affected, Greek culture. Mithridates VI Eupator of Pontus (r. c. 113–65 BC), with whom we are concerned, had presented himself as a champion of Greek civilisation, and in this role had given military protection to the Greek states dotted along the northern shores of the Black Sea, firmly imposing his authority in this region. As a result he had ready access to fertile grain-growing lands and to the resources of wealthy Greek maritime states, including a substantial navy. Mithridates, a wily opportunist, would wage a series of wars with the Romans in an effort to drive them from Asia and Greece. Though Mithridates himself was of royal Persian ancestry, his army was a direct descendant of that of Alexander the Great. His power base was northern Anatolia, but his recruiting grounds extended to the north of the Black Sea and as far west as mainland Greece. Thus the Pontic army was a characteristic mélange of Near-eastern and Hellenistic elements. His cavalry included the Iranian and Cappadocian minor nobility of the inland foothills, Pontic Sarmatians, Scythian horse-archers, and Armenian cataphractarii and horse-archers. This was not only far superior in number to the Roman cavalry but better in quality. Above all, Roman legionaries felt extremely nervous about facing Armenian cataphractarii, horsemen armoured head to toe, without an obstacle such as a ditch in front. At Orchomenos Sulla took up a defensive position and set his men to digging entrenchments. As he had intended, they soon grew tired of the excavation and showed a willingness to fight. Mithridates’ infantry included Greeks from the littoral poleis of Anatolia, the Black Sea and mainland Greece, foothill peasants with bows, wild Galatian warriors from the hilly centre of Anatolia, and a sarissa-armed phalanx of freed slaves. When his Macedonian-style phalanx failed to stand up to the legions of Rome successfully, he replaced the phalangites partly with peltasts, lightly-equipped infantry, and partly with imitation legionaries of his own, trained by Marian exiles. His big battlefield speciality was the use of four-horse scythed chariots intended to be driven at speed into an enemy unit to at least break up its formation. On two occasions this worked, but on others they were successfully countered. The Romans found that the Pontic phalangites fought well but with no better result than had earlier been achieved by other sarissa-armed phalanxes, such as that of Philip V of Macedon or Antiochos III Megas. Although in theory the phalanx should have a crushing superiority over legionaries, in no historical engagement did it demonstrate this, the invariable result being a slow slogging match that continued until it was settled by the phalanx falling into disorder or having its flanks exposed and then enveloped. On the other hand, the Pontic imitation legionaries do not seem to have fought any differently than their opponents, but there were never enough of them to be a decisive factor. Finally, a word or two about scythed chariots. These ‘weapons of mass destruction’ could be very dangerous if allowed to get up full speed before they collided with their target. Their biggest success was against Rome’s client-king of Bithynia, Nikomedes IV, when they charged a pursing Bithynian phalanx in the flank and were immediately supported by charging cavalry and peltasts. At Chaironeia they broke through one of Sulla’s legions, only to be destroyed by javelins on the far side. Alternative methods of dealing with them were to counter-charge them before they had gathered speed or to plant obstacles in their path such as stakes. On the whole, a Pontic chariot charge was admirably heroic, stunning effective – and terribly costly. In 98 BC, despite Marius having warned him to curb his territorial ambitions, Mithridates invaded Cappadocia, a land to which he had some territorial claim. Two years later the Senate sent Sulla east as propraetor to Cilicia on the southern coast of Anatolia. He had apparently gone to check piracy, a perennially favourite pastime of the Cilicians, but had also managed to install Ariobarzanes, who was a Roman friend, on the throne of Cappadocia. Mithridates had already been told to give up that kingdom and Paphlagonia as well, but the Senate’s command had not, by itself, proven enough. Sulla had marched off on his mission using only local levies. During his little campaign, which he played with his usual skill, Sulla’s forces had clashed with those of Tigranes, king of Armenia (r. 96–c. 56 BC). While nothing came of it directly, Tigranes threw his lot in with Mithridates, and married his daughter. In 91 BC Mithridates once again appeared at the head of a massive, westward-moving army. He seized Cappadocia for a second time – and Bithynia – with the aid of his son-in-law Tigranes, and the Senate, once again, ordered him out. Two years later Manius Aquillius, Marius’ old comrade-in-arms during the war against the northern tribes and his colleague as consul in 101 BC, was eventually dispatched east by the Senate to confront Mithridates and drive him back to his own territories. Aquillius joined local levies with the troops of Lucius Cassius, proconsul of Asia, and threw Mithridates out of Cappadocia and Bithynia, installing Nikomedes IV as the new ruler of Bithynia. However, Aquillius went beyond his brief and, in exchange for the liberation of his kingdom, extorted a large sum from Nikomedes, who, manifestly, could not pay. Therefore, under pressure from the Roman general, the Bithynian king was encouraged to raid across the border into Pontic territory. Mithridates lodged a formal complaint to the Senate. Diplomatic niceties observed, Mithridates then exploited the foray of debt-ridden Nikomedes by invading his kingdom (First Mithridatic War, 89–85 BC). Defeating the Roman forces four times in quick succession, he not only gained Bithynia, Phrygia, Mysia, Lycia, Pamphylia, Ionia and Cappadocia, but the Roman province of Asia too, which he started to dismantle. In the summer of 88 BC, when Rome’s grip had already been loosened, 80,000 Italian inhabitants of the province – men, women and children – were reportedly massacred in one single, deadly day. To crown this stunning reversal, Aquillius himself fell into the hands of the vengeful king, who, according to Sallust, had him executed by the theatrical expedient of pouring molten gold down his throat as a punishment for his rapacity. Sulla, with an army of fewer than 15,000 legionaries and some 1,500 cavalry, confronted a Hellenistic-type Pontic army allegedly of 100,000 infantry and 20,000 cavalry – a colourful mix of eastern troops, among them Pontics, Cappadocians, Thracians and Bithynians – and 60 scythed chariots commanded by Mithridates’ top general, Archelaios, a Cappadocian by birth. The battle was fought on the Boiotian plain just north of Chaironeia, a provincial town in central Greece. As Sulla marched southwards across the plain, he was obliged to turn his column left into line of battle to meet Archelaios’ approach. Sulla opened the battle by attacking a Pontic detachment, whose retreat had to be covered by a chariot charge. This manoeuvre failed, but gave time for the Pontic phalanx to deploy. Although recruited from poor quality material, including freed slaves, this sarissa-armed phalanx managed to hold off the legionaries while the Pontic cavalry broke through to its right. Sulla ordered five cohorts from his reserve to protect their outflanked comrades, but these were encircled and soon in serious difficulties themselves. Sulla arrived in person with his cavalry from the right wing and flung Archelaios back. The Pontic cavalry then withdrew and began to transfer to the opposite flank, while the Pontic infantry made a fresh attack on the Roman centre. Sulla reacted by dispatching four more cohorts from his reserve to aid his centre, and with three cohorts and his cavalry returned to his original position on the right wing and attacked, breaking the enemy cavalry which had returned disorganised. A general advance then pushed the Pontic army into a defile from which, it is said, only 10,000 escaped. The second engagement was fought again on the Boiotian plain, but this time near the town of Orchomenos. As the ground was treeless and level Sulla dug entrenchments on his flanks to hinder the superior Pontic cavalry. However, the cavalry attacked the Roman working parties, which Sulla had to rally in person, precipitating the battle. According to Plutarch, as Sulla pushed his way through his fleeing men he grabbed a standard and dared them to leave him to the enemy, roaring at the top of his voice: ‘As for me, Romans, I can die here with honour; but as for you, when you are asked where it was that you betrayed your general, remember and say it was at Orchomenos’. A similar story is told of Caesar at Munda. The initial Pontic chariot charge, obviously designed to crack the Roman line of battle, failed when the legionaries fell back to disclose a row of stakes. Sulla then ordered a counter-attack with lightly armed troops. The chariots, their horses maddened by arrow and javelin wounds, broke, disordering their own phalanx as they swept off the battlefield. In an act of desperation, Archelaios tried to rally them by dispatching cavalry from his wings to intercept them. His weakened wings were then immediately broken by Roman cavalry charges. Though the Pontic cavalry suffered relatively light casualties in the battle, the camp in which they took refuge was carried by assault the following day and most of the fugitives perished in the nearby marshes as they attempted to escape the slaughter. Archelaios himself, however, was able to slip away. It appears Mithridates was no ordinary enemy of Rome. Persecuted by his wicked mother as a child, the young prince had been forced to take refuge in the mountains of north-eastern Anatolia. Here he lived wild for seven years, outrunning deer and outfighting lions, or so it was said. Nervous that his mother might still have him murdered, Mithridates developed a morbid fascination for toxicology, taking repeated antidotes until he was immune to poison. Finally returning at the head of a conquering army to claim the throne, Mithridates ordered his mother killed, and then, just for good measure, his brother and sister too. Of course such legends are partly the product of mythologising, especially by Roman authors; for Mithridates became in the collective Roman psyche an archetypal enemy alongside such bêtes noires as Brennos and Hannibal. Meanwhile in Rome one star that was burning brightly was the charismatic Sulla, erstwhile lieutenant to Marius but now a power in his own right, and a dangerous one at that. Thus when the Senate declared war on Mithridates, it was Sulla, as the former propraetor of Cilicia and one of the new consuls for 88 BC, who was assigned the governorship of Asia and the military command against the Pontic king. However, during that year a tribune and former associate of Drusus, Publius Sulpicius Rufus, clashed with Sulla and his colleague Quintus Pompeius Rufus over Italian voting rights. The new Romans had found their brand-new citizenship a rather dilute thing as they had been allotted to ten tribes (and hence ten votes). As their champion Sulpicius proposed to reform the tribal system and enrol the new citizens in the thirty-five old tribes so that their right to vote would not be utterly vitiated. Up against stiff senatorial opposition and needing further support for his reforms, Sulpicius adopted a more radical stance and allied himself with Marius, who in turn wanted the tribune’s help to obtain the lucrative command against the Pontic king. Violence erupted on the streets of Rome and Pompeius Rufus’ son, who was related to Sulla by marriage, was one of the victims. During the rioting Sulla himself was forced to seek refuge in Marius’ house, later managing to flee the city. Sulpicius was now in power and his programme of measures, including the bill transferring the eastern command to Marius, was passed by vote of the people. The septuagenarian general had stepped down from command during the later stages of the Social War pleading age and fatigue, but the glory and booty that would result from a successful campaign in the richest area of the Graeco-Roman world were undoubtedly great inducements for a second comeback. When a tribune had done something similar in 107 BC, taking the command against Iugurtha from Metellus and handing it to Marius, Metellus had acquiesced in the decision of the people, whatever sense of outrage he may have felt. The response of Sulla, now at Nola preparing to depart for the east, was to be entirely different and revolutionary. 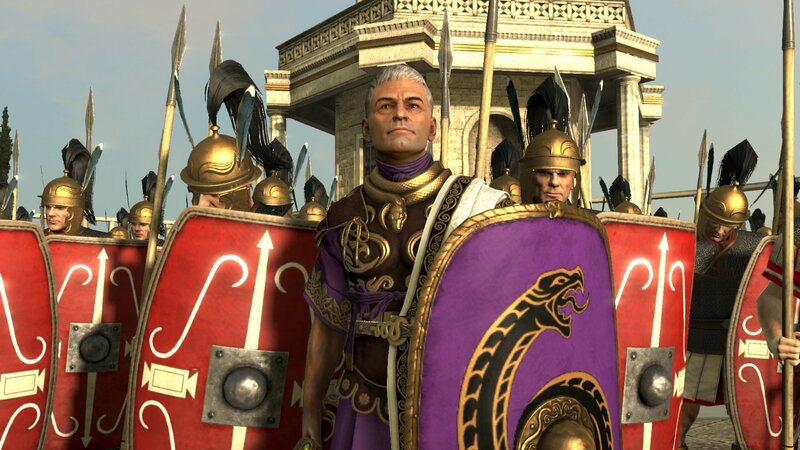 With his soldiers behind him, Sulla marched on Rome and after a few hours of street-fighting imposed martial law for the first time in Roman history; Sulpicius and Marius were declared hostes, or public enemies. Sulpicius was hunted down and killed, but Marius, after a series of hair-raising adventures that saw him outfacing contract killers, made a spectacular escape to Africa where he was persona grata among the settlements of his own veteran soldiers. When Sulla discovered this [i.e. the transfer of the eastern command to Marius], he decided to settle the matter by force and summoned his army to a meeting, an army that was eagerly anticipating a profitable war against Mithridates and thought that Marius would enlist other men in their place… . [Sulla] immediately placed himself at the head of six legions. Except for one quaestor, the officers of his army made off to Rome because they could not stomach leading an army against their own country. On the way, Sulla was met by a deputation who asked him why he was marching under arms against his native land, and he replied, ‘To free her from tyrants’. Appian waxes lyrical here, but it is clear that the event was traumatic as all Sulla’s officers bar one refused to march with him, the rest resigning their commands and hurrying to the defence of the city. What had changed was not the attitude of the army and its officers, but that of their general. Sulla had dared to do what others scarcely dared to dream. The following year Lucius Cornelius Cinna, a popularis, and Cnaeus Octavius, an optimate, were returned as consuls. Octavius was a tractable man, but Cinna attempted to re-enact Sulpicius’ legislation on the voting rights of the new citizens. He also recalled Marius, but was driven out of Rome along with six of the tribunes by his colleague, who supported the status quo – namely not allowing the new citizens to be fairly distributed among the voting tribes. Washing up outside Nola, where the Social War still flickered, Cinna appealed to the one legion Sulla had left to continue the siege, and also to the rebel Italians within. In the meantime, after long months brooding in Africa, Marius had landed at Telamon in Etruria. Recruiting a personal army of slaves, he joined forces with Cinna, and then turned on Rome. There Marius quickly introduced tribal reform, and even granted the unbending Samnites full citizen rights. Psychotic with rage and bitterness, he then ordered Rome to be systematically purged of anti-Marians, including Octavius, along with six consulares, Marius’ old campaigning colleague Catulus among them. But the main opponent, his erstwhile protégé Sulla, had already gone east with five legions to fight Mithridates. The capstone of this orchestrated bloodbath was that Cinna and Marius made themselves, without the formality of an election, consuls for the coming year. Marius had held the consulship an unprecedented six times. He liked to claim that a fortune-teller in Utica had promised him a seventh. Early in 86 BC Cinna (cos. II) and Marius (cos. VII) tightened their grip on Rome. However, Marius quickly abandoned himself to alcohol abuse and nightmares. A fortnight later he was dead. The following year Cinna chose Cnaeus Papirius Carbo, who had been a praetor during the Social War, as his colleague, and the two would remain self-appointed consuls until 84 BC, a period known as dominatio Cinnae. They appointed censors so as to begin a full registration of new citizens, and a detailed reorganisation of local government in Italy now commenced, and would continue for decades. Out east in the meantime Sulla had won a number of spectacular successes against Mithridates and against the Marian commander Caius Flavius Fimbria, sent by Cinna to replace him. Fimbria had fought well against Mithridates too, but in 85 BC lost his army to Sulla and committed suicide. In 84 BC Sulla held a summit with Mithridates himself. Both men had good reason to come to an agreement. Mithridates, knowing the game was up, was desperate to keep hold of his kingdom. Sulla, nervous of his enemies back in Italy, was eager to head home. The hurried result was the Peace of Dardanus, which not only allowed Mithridates to remain on the throne of Pontus but also to retain some of his territorial gains. The cold-blooded murder of 80,000 Italians was conveniently forgotten. Yet the time would come when Rome would regret that Mithridates had not been finished off for good. Sulla’s troops spent a luxurious winter in the fleshpots of Athens, binding them more closely to him. The relationship between political and military power was abundantly clear to the successful and ruthless Sulla, and it was now that the victorious proconsul dispatched an ominous letter to the Senate. The government he had established before his hurried departure had collapsed and Sulla himself had been declared a hostis at the behest of Marius and Cinna, his property razed, his family forced to flee. ‘However’, as Appian says about Sulla and his outlaw status, ‘in spite of this he did not relax his authority in the least, since he had a zealous and devoted army’. Now that Mithridates had been tamed, Sulla prepared to embark his loyal troops and turn his vengeance back on his native city. At Rome events moved on apace. While Sulla was talking peace with Mithridates, Cinna (cos. IIII) had been stoned to death by his own troops during a mutiny, thus leaving Carbo (cos. II) as the sole consul for the rest of the year. Carbo, struggling with a moderate majority in the Senate and despite having pandered to the newly enfranchised communities, was eventually forced to take hostages from many towns and colonies in Italy to ensure their loyalty in the coming showdown with Sulla. As the acceptable face of the Cinnan régime, Lucius Cornelius Scipio Asiagenus and Caius Norbanus were returned as consuls for the coming year. Early in 83 BC Sulla landed at Brundisium (Brindisi), and large numbers of senators and sons of senators flocked to his side, including the young Pompey. Unlike his first march on Rome, when only a single officer had accompanied him, Sulla’s entourage was now thronged with members of the nobilitas. By changing the rules of the political game, civil wars encouraged even more exceptional careers among those who supported the winning side and, as we shall later discover, that of Pompey was to break all records. Alas for the losers there was no such luck: Scipio Asiagenus’ soldiers judged they would do better to serve under the lucky Sulla. In 82 BC Caius Marius minor, not yet 27 years old, was consul alongside the veteran Carbo (cos. III), and they attempted, through a Marian–Cinnan coalition, to reassert control after a string of defeats. Despite many of his father’s veterans coming to his standard, Marius was eventually holed up in the hill town of Praeneste, some 40 kilometres east of Rome. Once again the Samnites, for the last time in history, marched down from their mountains and entered the war. They joined a Marian cause already on the point of collapse, but failed to lift the siege, and then, with the sudden realisation that Rome lay unprotected to their rear, abruptly turned and marched on the capital. Abandoned by his new allies, Marius minor committed suicide, while Sulla, surprised by the Samnites’ action, pursued them at frantic speed. Throwing his exhausted army into battle outside the city walls, by dawn on 2 November he emerged unbeaten from the bloodbath of Porta Collina. It had been a close call. The Samnites had marched on Rome not from loyalty to old Marius’ memory, but ‘to pull down and destroy the tyrant city’. This entry was posted in Roman, Wars by MSW. Bookmark the permalink.